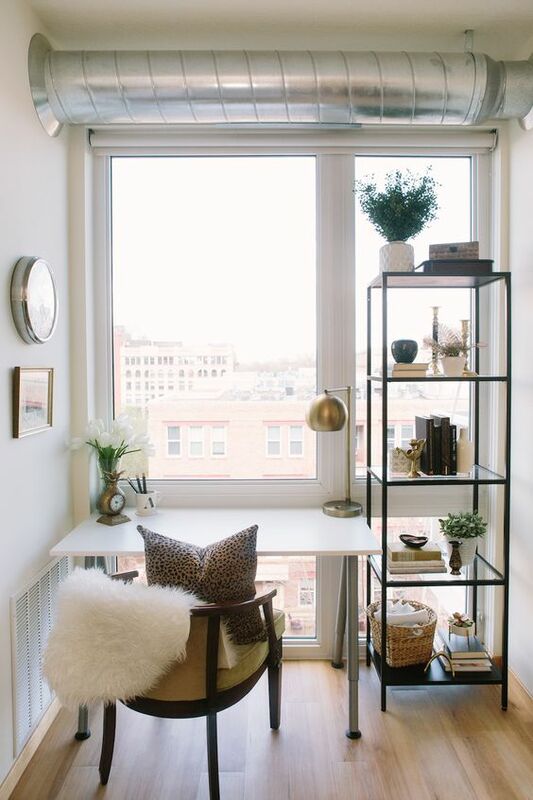 Living in a small space like an apartment is so challenging since you need to figure out the furniture pieces you must be placed in order to make all things well-organized, functional, and space-friendly. 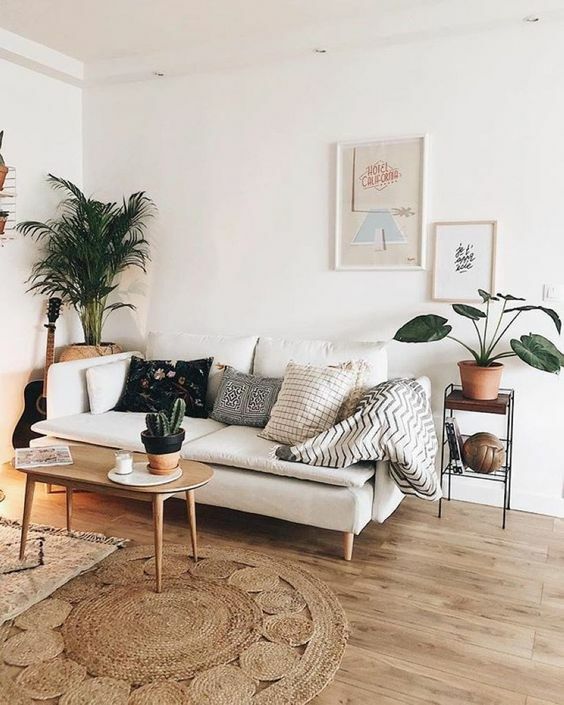 Tones of color, patterns/ motifs, and dimensions of interior pieces also become the important elements that will affect the whole interiors when applied correctly, that’s why you need to look for any references of how to redecorate your apartment, and practically implement them into your homey apartment. 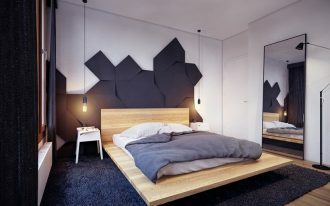 And luckily this page will share some worthy apartment decorating ideas probably you’ll get inspired. Well, let’s start getting to know then. Well-lighted and airy. 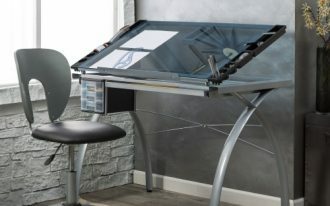 This home office provides you much luck during you do your jobs, and of course this space automatically will drive you up and make you motivated in doing more works. Cozy and simple in such limited space. So awesome. Practical and simple, this is what we want to describe about this entryway. It’s brilliant to place such storage solutions. 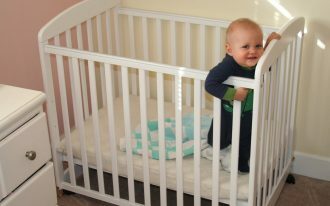 Both shelving unit and bench seat (also equipped with under shoes rack) are designed as one package. On top, there are nine hooks for essentials like coats/ jackets, sling bags, etc. Complete the package with small-size carpet and greenery for more beautiful accents. Small space doesn’t mean you get limited space for any functional room addition like the walk-in closet. 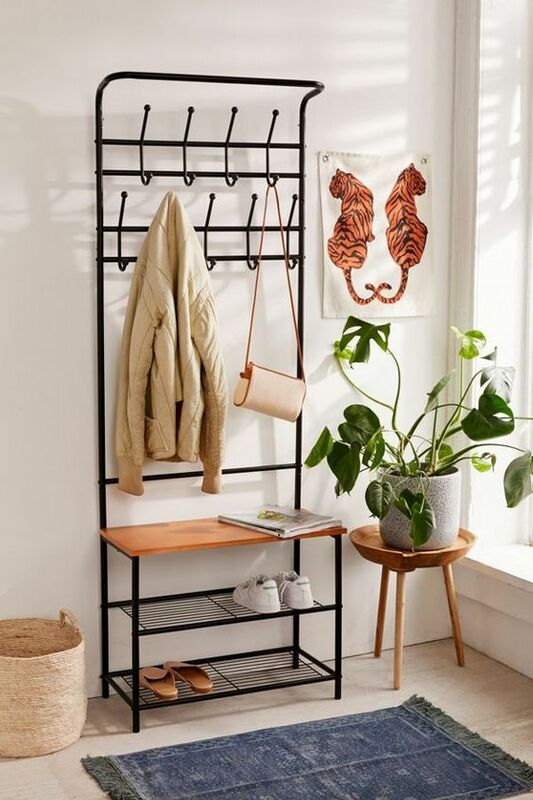 This one is specifically designed for small living space like your apartment, and the space looks gorgeous with simple floating wood panel for hooks and a stool. 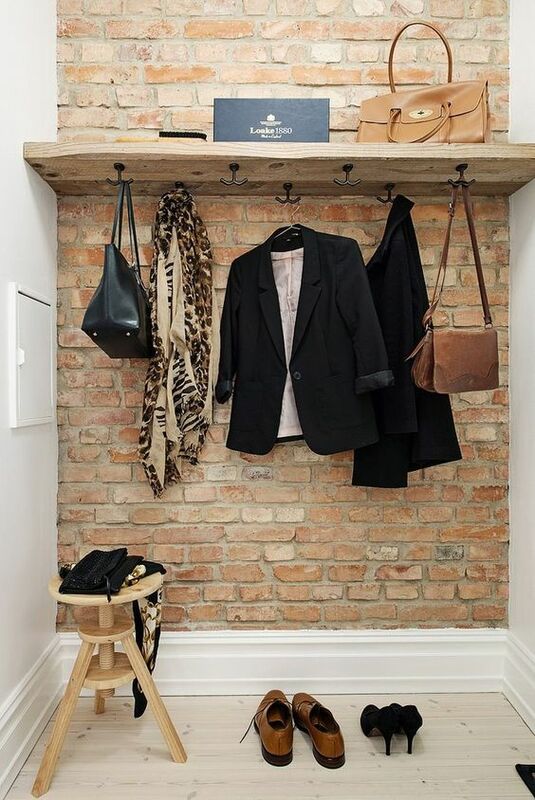 You can save your things like handbags or shoes exactly on wood shelf, while the dress, gown, tuxedo, etc are rightly hung on provided hooks under the shelf. 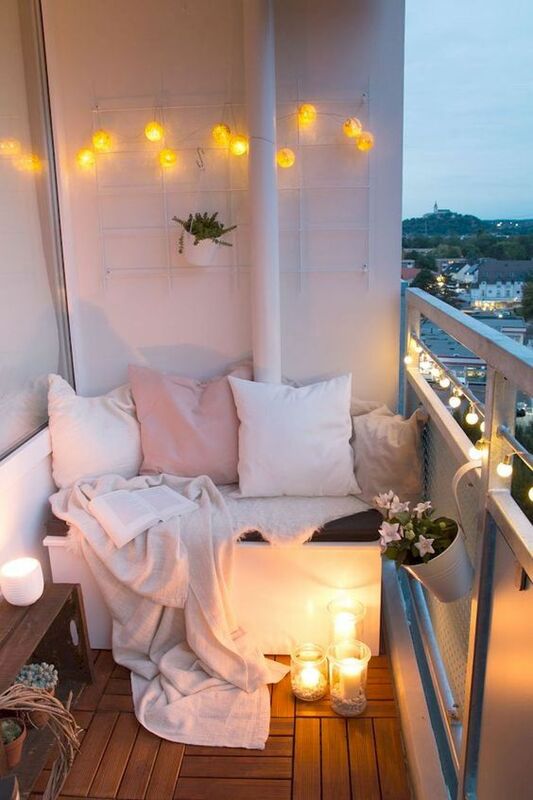 This is the coziest spot for witnessing the dawn-sky and sunset. 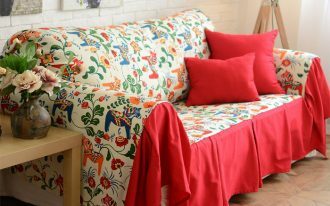 The warm and soft cushion completely covers the bench seat. The spot feels so homey simply with some throw pillows and falling blanket. Lastly, the lightings, both the string of orbs and floor-candles, make the space dramatically romantic and calm. Add light neutral tone to your small living room and see the visual effect: naturally bright and airy. For tropical accent, potted palm and some greenery are well recommnded to add, giving fresher atmosphere to living room. About the furniture choice, midcentury modern pieces with pointed legs sound great since they can save the space as well as add style. The chairs are simple, built from solid wood and equipped with foamy cushions (for seat and back). Such design is flexibly used for indoor and outdoor. 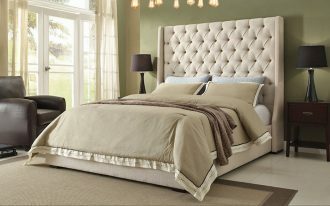 Transform your small bedroom into such a beautiful one. 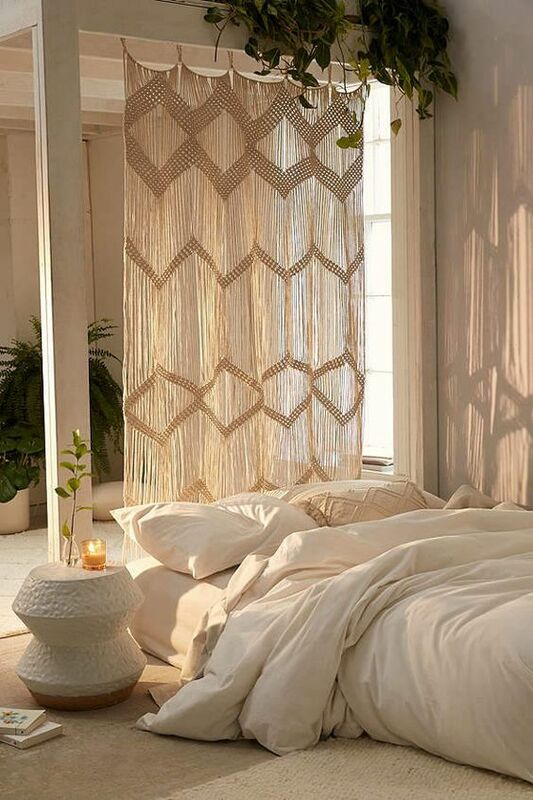 Boho touch has been added for new direct focal point, and this Boho curtain is the chosen one. Look at the shadow effect; that’s so beautifully dramatic especially when the curtain is being pouring by the morning sunlight. The shadow looks like an art on wall. Tone of space becomes one of most important thing to consider when you want to re-decorate your small living room, and white is the best one. 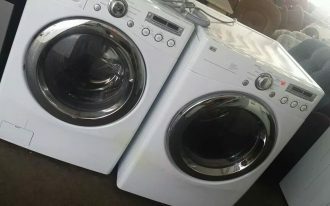 White always tends to be airy, light, and larger in visual effect. This is the reason why white can be the best. The furniture choice, more importantly, should be simple yet functional, and the wood bench seat plus cushions are great options. 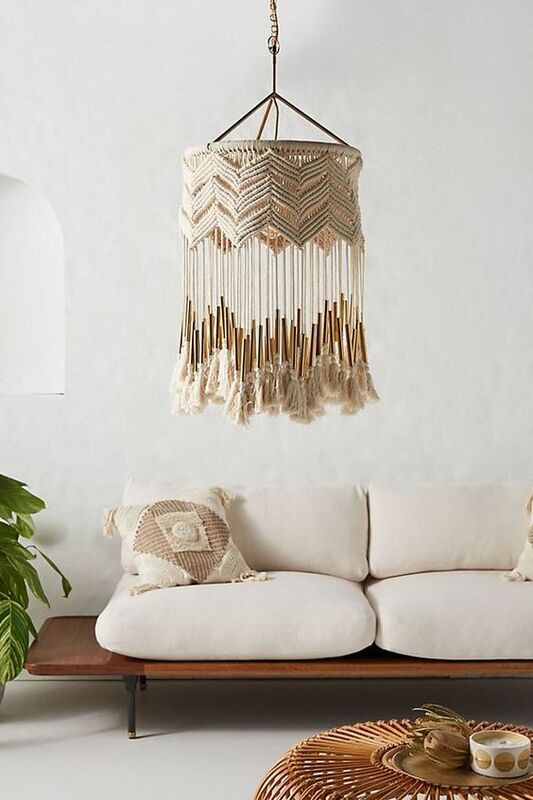 Add the direct focal point in room like this Boho pendant. 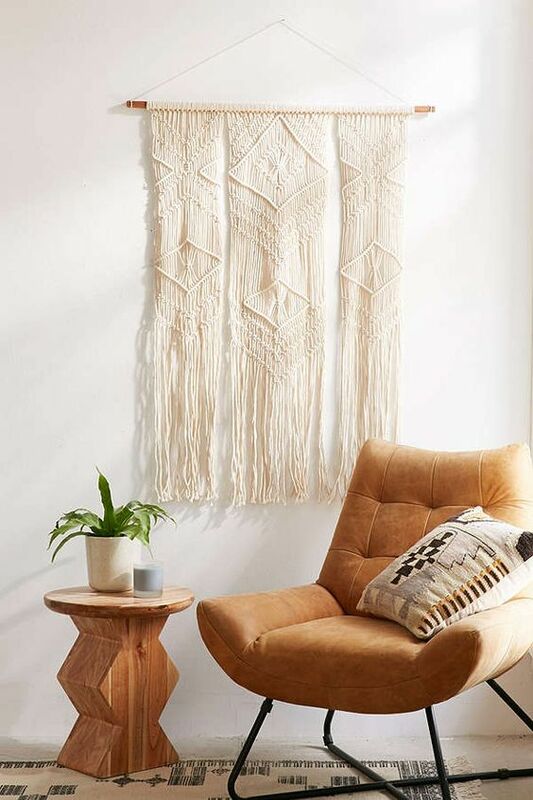 Fallon Macrame wall decor gives a vividly Boho touch to your mini reading nook. 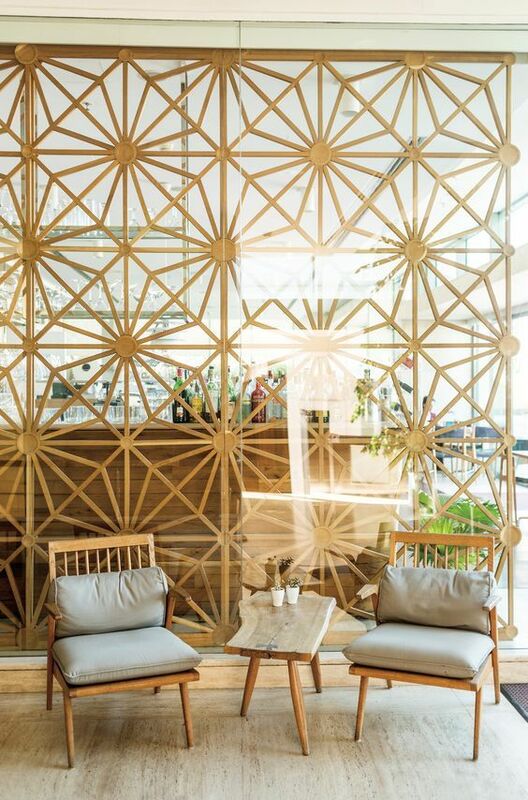 It looks so good when featured with warm and natural element like these neutral-toned leather chair and wood side table. Put all things on top and keep the base empty or just minimalist. 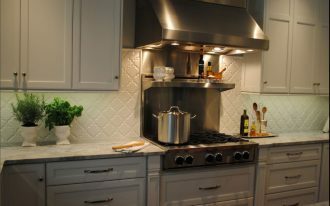 This is the best solution to make your small kitchen well-managed and space-friendly for cluttered kitchen stuffs. 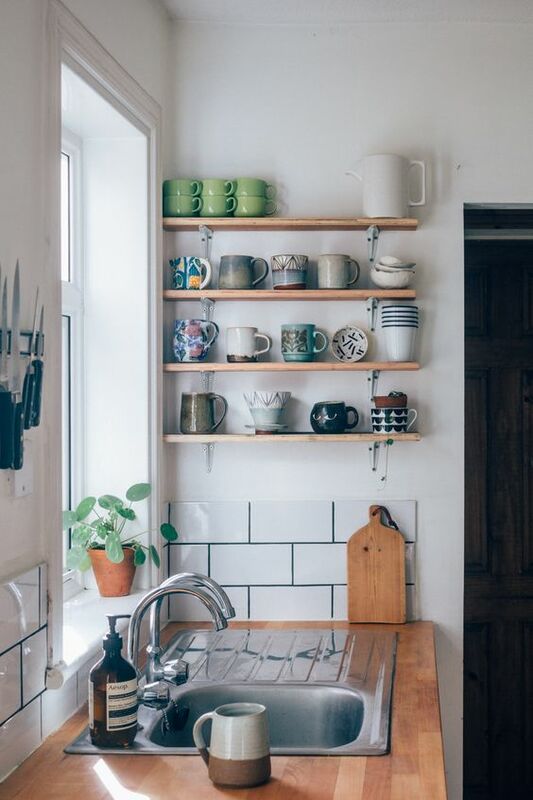 Use wall-mounted shelving units for the glassware and let them beautifully uncluttered. Small space doesn’t have to be featured with light and bright tones. Some dark tones like black and gray also suit for such limited space. 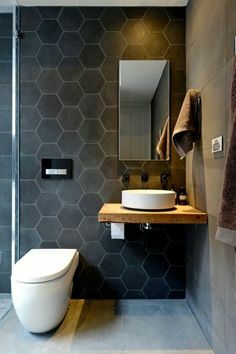 This dark hexagon tiles are obviously applied on walls and it features with gray floors. Add a contrast by equipping the bathroom with bright fixture like white floating toilet and sink. Overall, the space goes to a masculine look.